Why Do People Use White Tea? Oral preparations of Camellia sinensis (White tea), like white tea powder, are used for improving cognitive performance and mental alertness, headache, atherosclerosis, hypotension, for preventing Parkinson's disease, myocardial infarction and to reduce the risks of lung cancer, gastrointestinal cancer, breast cancer and ovarian cancer. Oral preparations of white tea are also used to prevent type 2 diabetes, vomiting, stomach disorders, preventing dental caries and kidney stones, diarrhea and as a diuretic. By mixing with other products, white tea is also used orally to control weight . In Foods - White tea is consumed as a cold or hot beverage. Likely Safe - There are no side effects reported when white tea containing beverages are used in balanced amount. Possibly Unsafe - White tea powder is thought to be unsafe when consumed as a beverage with high amounts and for long term purpose because there is large amount of caffeine in White tea. Chronic consumption, particularly in excessive dosage, can produce psychological dependence, habituation, tolerance and other major side effects. Studies also confirm that daily dosage of 250-300 mg maybe responsible for significant side effect like sleep disturbances and tachyarrhythmias. Likely Unsafe for Infants - Food and beverage containing white tea may be unsafe for children. Possibly Unsafe in Pregnancy - Oral consumption of white tea during pregnancy should be avoided. Because of caffeine, mothers should be cautious and shouldn’t consume excessive amount of white tea. Caffeine effects the human placenta, but is not reported as a teratogen. There are different point of views about using white tea during pregnancy but balanced consumption of white tea (as low as 200 mg daily) has not been referred to with clinically important dangerous fetal effects. On the other hand, dosage more than 200 mg per day should be strictly avoided because it may lead to increased risk of miscarriage. Possibly Unsafe in Lactation - Intake in moderate amounts maybe safe. Because of caffeine content, nursing mothers should be cautious while taking white tea. Studies report that concentration of caffeine in breast milk are thought to be about 50% of maternal serum concentrations. How Effective Is White Tea? The most effective part of Camellia sinensis are the stem and leaves. White tea is not the same as oolong and green teas. White tea is completely aged. Oolong tea is in part matured. Green tea is not aged. Polyphenols, for example, flavonoids including thearubigins, catechins and theaflavins are present in high amount in white tea and are thought to be responsible for many of its proposed benefits as an antioxidant. The dosage of catechins and polyphenols in white tea is influenced by leaf aging, conditions and storage after and during transport. 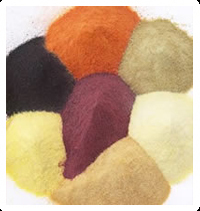 Theaflavins are reddish-brown colors delivered from catechins while fermentation process. They make up around 2% of dried white tea. White tea also consists of tannins, which may have antioxidant impacts. White tea also contains phytoestrogens including lignan precursors matairesinol, beta-sitosterol and secoisolariciresinol. White tea powder contains caffeine, ranging from 2% to 4%. By and large, white tea contains more caffeine as compared to non-fermented green teas. White tea also contains large amount of gallic acid, which is an antioxidant with anticarcinogenic and antimutagenic effects. Polyphenols, for example, thearubigin, in tea also seem to have antimutagenic impacts and may guard DNA. Clinical experiments suggest that green tea has more polyphenols and hence more prominent potential medical advantages as compared to white tea. In any case, there is some proof that recommends there is no distinction in quality and quantity of polyphenols between white and green teas. The caffeine in white tea enhance the muscles power, heart functions, central nervous system (CNS) and possibly the presser centers that influence the control blood pressure level. Possible action include phosphodiesterase inhibition and adenosine receptor blockade. By blocking adenosine receptors, quantity of caffeine is thought to enhance the neurotransmitters discharge, for example, dopamine. Caffeine also stimulates respiration and decreases airway resistance through phosphodiesterase inhibition and adenosine receptor blockade. What Are The Side Effects /Adverse Reactions of White Tea? Because of its caffeine content, white tea powder may lead to nervousness, insomnia, gastric irritation, restlessness, vomiting, nausea, quickened respiration, tachycardia, delirium, tremors, diuresis and convulsions. Some other symptoms are anxiety, headache, ringing in the ears, agitation, respiratory alkalosis, hypokalemia, premature heartbeat, chest pain and arrhythmia. Although high dose administration of white tea can result in enhanced blood pressure, regular utilization does not appear to expand either circulatory heartbeat or blood pressure even in gently hypertensive patients. Epidemiological research suggests that there is no relationship of white tea utilization with incidence of hypertension. Over dosage of caffeine can result in huge catecholamine release along with metabolic acidosis, subsequent sinus tachycardia, ketosis and hyperglycemia. How White Tea Interacts With Other Herbs and Supplements? How White Tea Interacts With Drugs? How White Tea Interacts With Foods? How White Tea Interacts With Lab Tests? How White Tea Interacts With Diseases and Conditions? What Should Be the Dose/Administration of White Tea? ORAL •	The dosage of white tea, in the form of a beverage to incite mental alternates, shouldn’t be more than 250 mg per day. •	To lessen the potential risks of kidney stones or heart attack, normally white tea should be taken as minimum one cup per day. •	To protect from atherosclerosis, dosage should be 125 to 500 mL of brewed white tea every day. •	For preventing Parkinson's disease, typical dosage for men is 421 to 2716 mg per day. •	In females, balanced caffeine usage appears to be best if used equivalent to 1 to 4 cups daily. Camellia sinensis stems and leaves are processed for the production of white tea (fermented), oolong tea (partially fermented) and green tea (non-fermented).